After a long break due to work, I’m back to write a bit update. It’s been 21 weeks since I started the experiment. Since then a lot has been going on and I’m glad to see that I’m still gaining $1153 and 0.12 BTC. 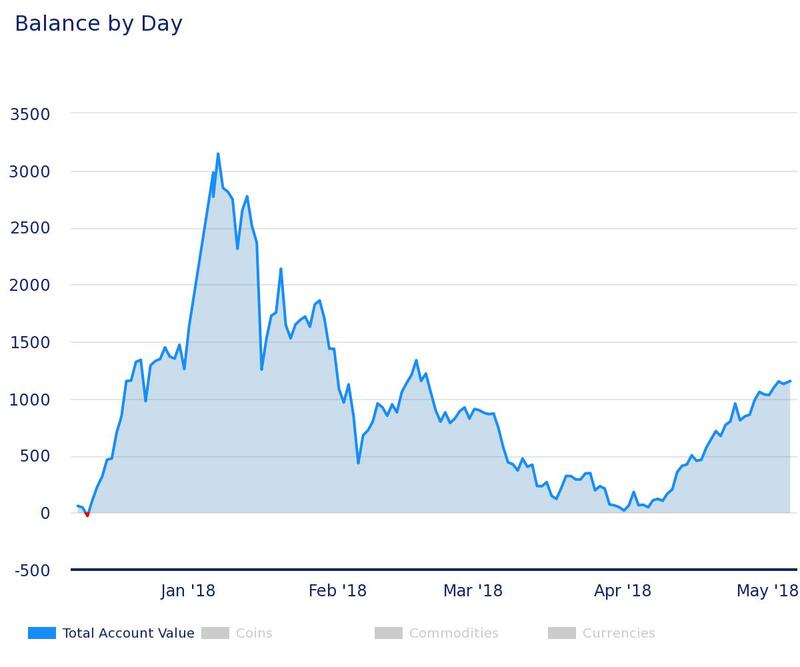 The price of Bitcoin is currently at $ 9831, showing a bit gain since the bearish phase going on since March. Is this the beginning of a Bull Run? 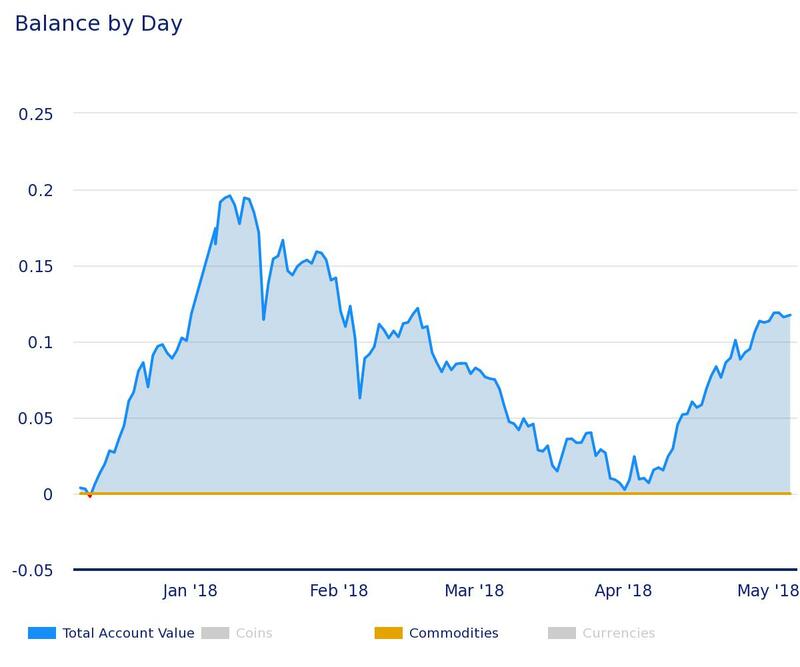 The dominance of BTC is at 36% and the Market Cap at 465 Billion, definitely showing a good come back of the cryptos in general. A nice thing to notice about the experiment is that so far only 29 cryptos are in minus, which means that the (CryptoETF100) is performing way better than a single crypto. Also the gain in BTC is at 0.12 BTC , more than double of what I originally invested. 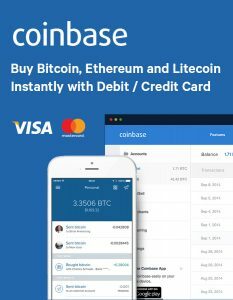 Let’s talk about our Top3 cryptocurrencies. 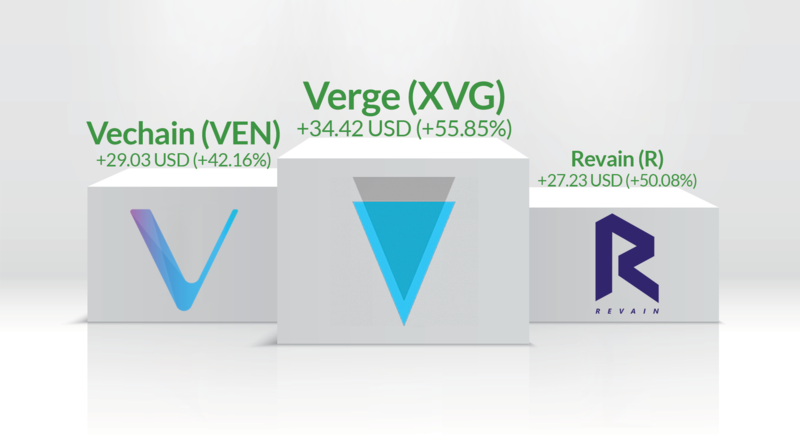 The second overall gainer is Verge (XVG) a crypto with a massive community, one of the biggest in the crypto world. Even with a lot of controversy XVG is still performing really well. With a gain of 916.09$ n the experiment this is definitely a coin that is making the difference! Lastly Vechain (VEN), I’m sure many of you have heard about it and to be honest I’m not impressed by the gains. VEN is believed to be one of the most promising projects. The 18 VEN I bought 21 weeks ago with $10.11 is now worth $98.75, big gain true, but I’m very positive about a bigger gain, especially with the lunch of the Main Net with Masternodes at the end June!